This whole job is a bit embarrassing, not for me, but for all the other people who have been associated with this instrument before it ended up in my workshop. Most of all it is embarrassing for the man who bought as a birthday present to his son, discovered a problem with lack of damping, and ten months later the son is nearly another year older! I do have the notes and resonators, but as can be seen the damper bar is missing – taken to be repaired. So the job is to sort out the lack of damping. The damper bar on these Premier vibes is rubbish and now all the parts are obsolete. Why anyone would go to the trouble of remaking parts to get a badly designed assembly to work is a mystery to me. 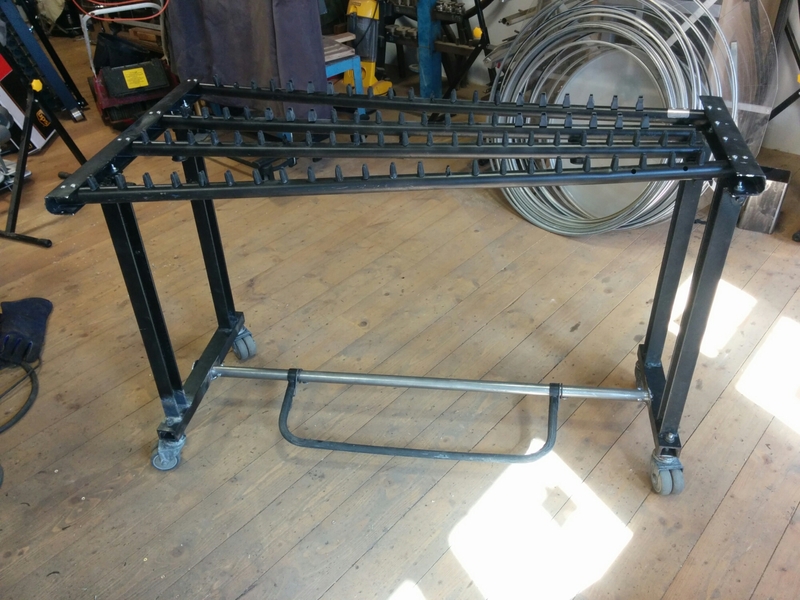 The main problem with the design is the leaf springs which work harden over time and snap like the top of a tin can when you wiggle it to get it off. I could make new springs in an hour, but why make something that is destined to break? Furthermore, because I don’t have the original damper bar I don’t know what condition the ball joints are in, or if the bar is straight which are the other major issues. Immediately when the instrument was delivered I noticed a problem. 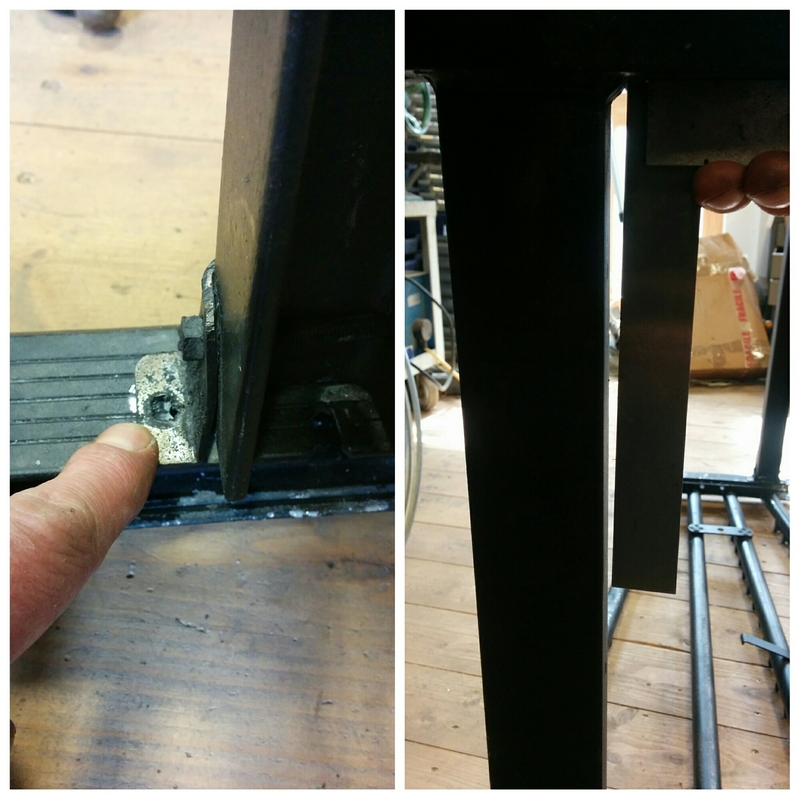 The bottom bar which carries the pedal, and around which the pedal rotates, has been welded to the frame. How could I resolve any damping problems if I were to ignore the point of operation? First big question therefore is why the damper bar was removed for repair when the whole instrument should have been taken. I know why the damper bar was welded into place. As can be seen from the photo, several attempts have been made to sort the problem. It’s unbelievably bad and so obvious only someone stupid would have failed to realise that the pedal acts against springs which therefore will try and rotate the tube. 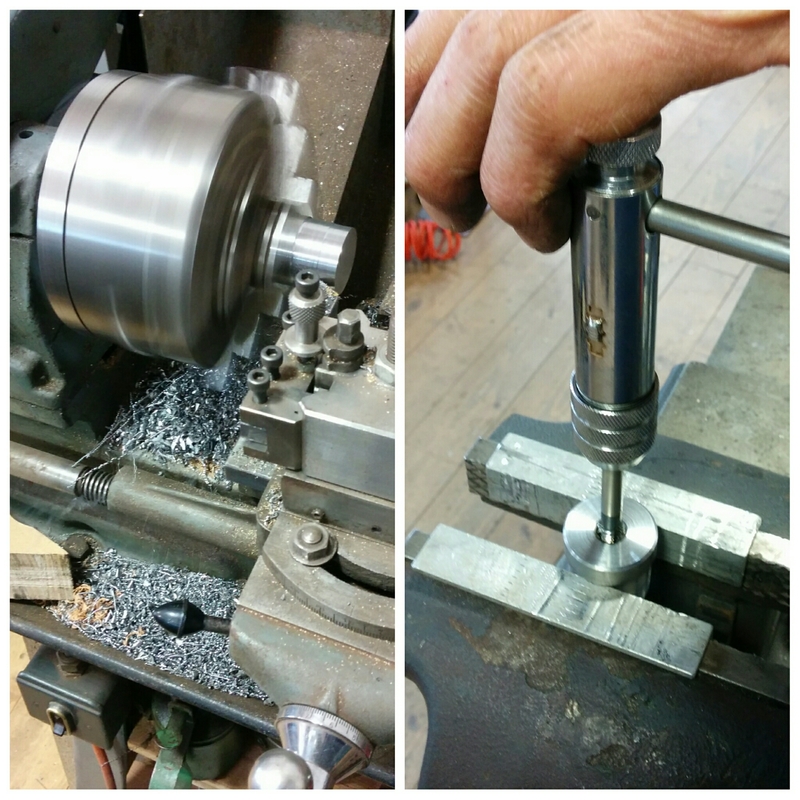 So the two screws in the ends didn’t work because they have created a nice axle. 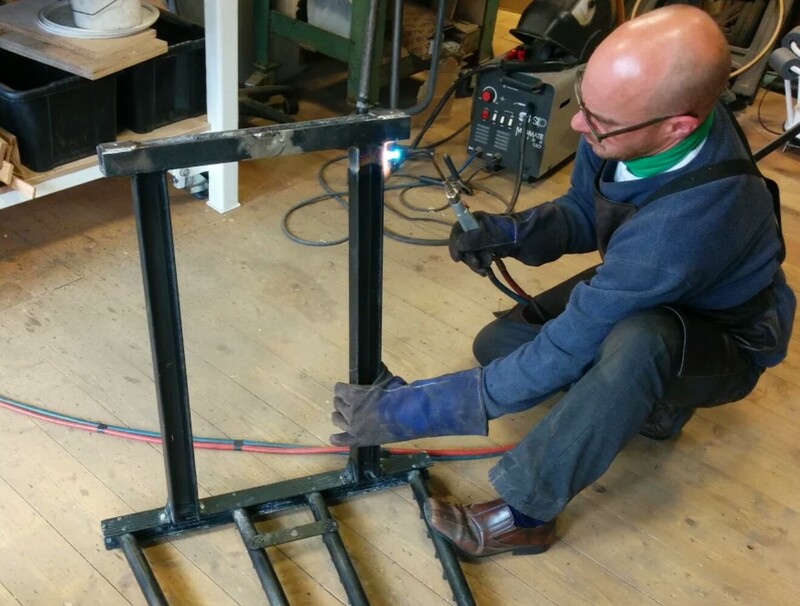 The first thing to do is to make a new bar, because the only way to that one off is with an angle grinder. 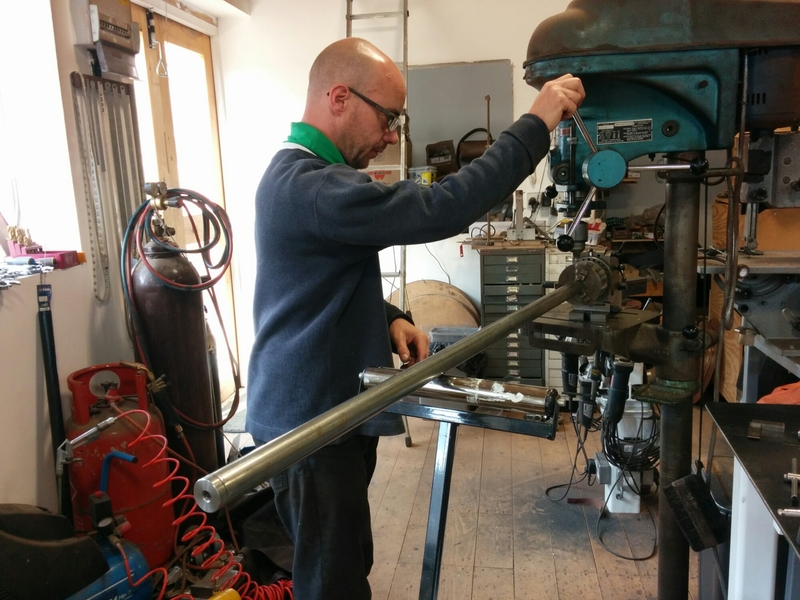 Because the damper bar and springs slide onto the tube and are riveted in place the ends need to be both the same diameter of the tube and removable. 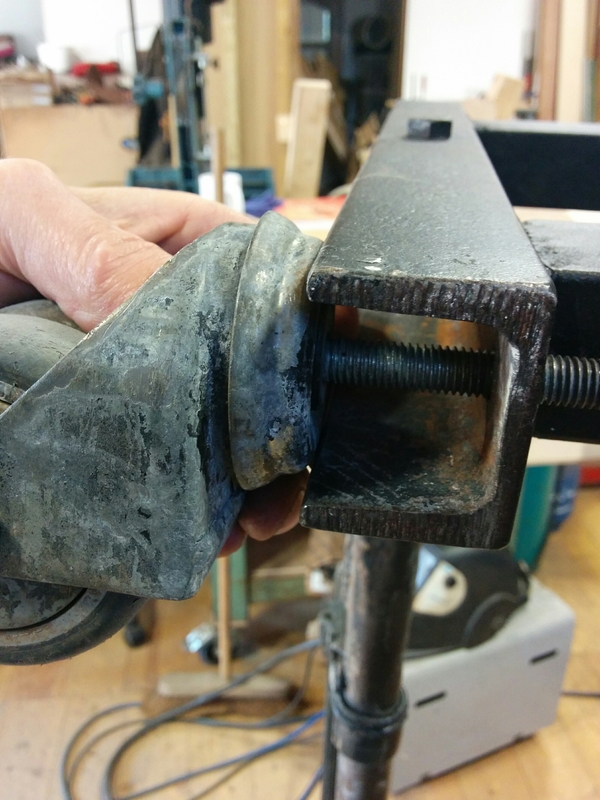 I put flats on the under side of these caps which sit on a little square bar welded to the leg frames to stop the rotation. 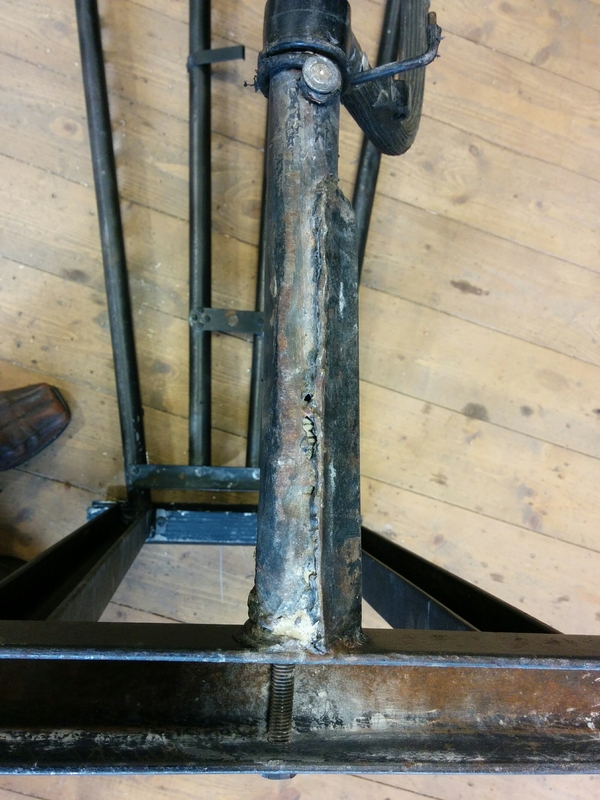 Whilst I was welding, I put mounting plates on for the casters – in the picture above it can be seen what the previous person did. 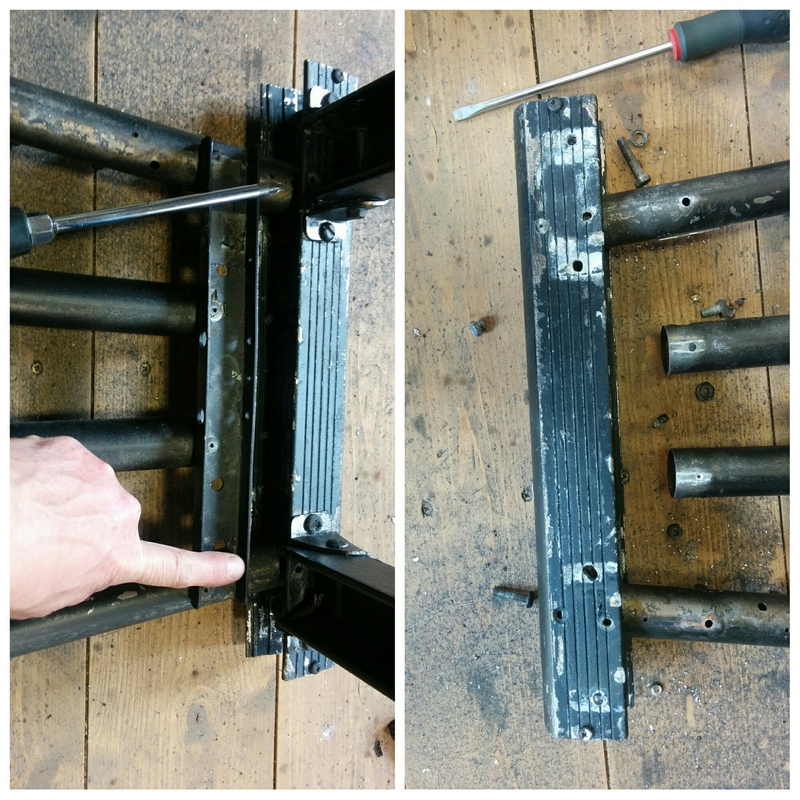 The damping system will not work if the legs aren’t attached to the top frame or the frame to the note rails. 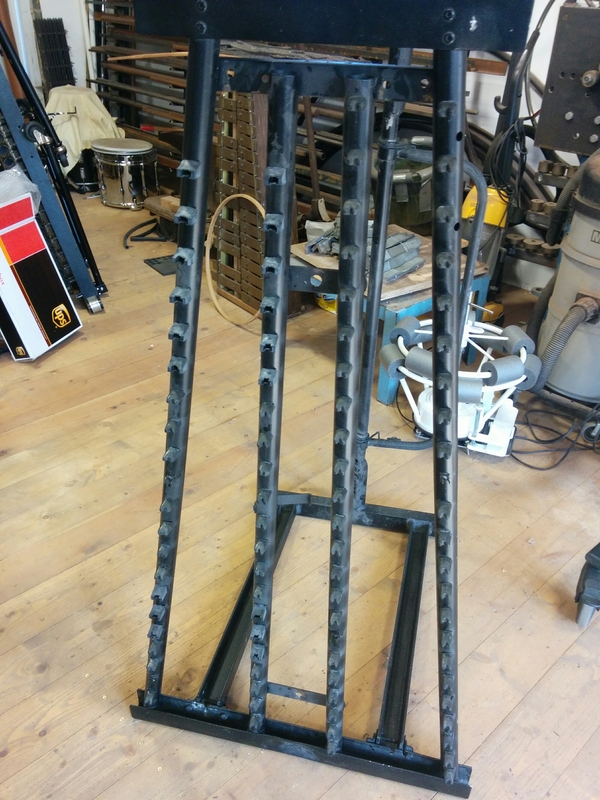 The whole thing needed to be removed straightened and refitted, so that the top and bottom are now both solid, all I then had to do was join the two halves, except the holes don’t even line up. I think that the owner said that he bought the instrument from a school – I certainly hope that this is not the work of the metal work teacher, but I suspect it is. As a digression, I applied to do teacher training in the early 2000’s, become a craft and design teacher; I was told that I was under qualified. You don’t need a bloody degree to make something square! That was hot, hard work! Fire and brawn to pull the thing straight. 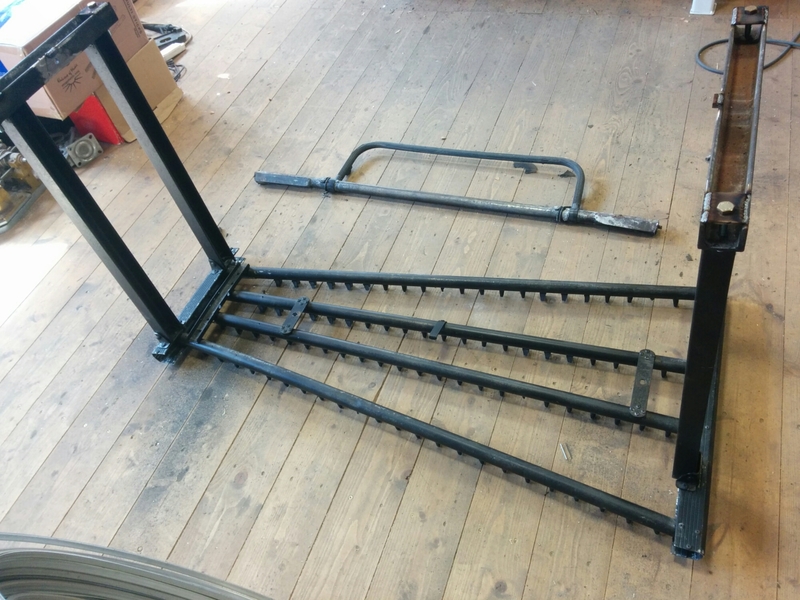 The frame that has been built (which actually needs to be binned) is massively heavy 6mm steel! I would make a shelter out of this stuff and still guarantee it for life. Finally I can assemble the instrument and begin to look at the actual damper bar which will be in 1260 (pt 2).